Alexis Sanchez produced an oddly familiar pose as Manchester United sank to defeat to Chelsea in today’s FA Cup final. 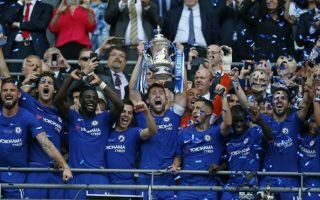 Manchester United fell to a 1-0 FA Cup final defeat to Chelsea this evening with their season coming to an underwhelming conclusion. Despite finishing second in the league, Jose Mourinho will forever remember the 2017/18 season as a campaign in which he failed to claim a single piece of silverware for United. Eden Hazard was the match winner for Chelsea with the Belgian calmly slotting a penalty past David De Gea in the Manchester United goal after Phil Jones had fouled the Chelsea forward inside the United box. United pushed forward in the second-half looking for an equaliser and the best opportunity of the game for the Red Devils fell to Paul Pogba on the 82nd minute with the Frenchman nodding wide from an Anthony Martial corner. It was Alexis Sanchez however who caught the eye of a number of United fans however after the final had finished. 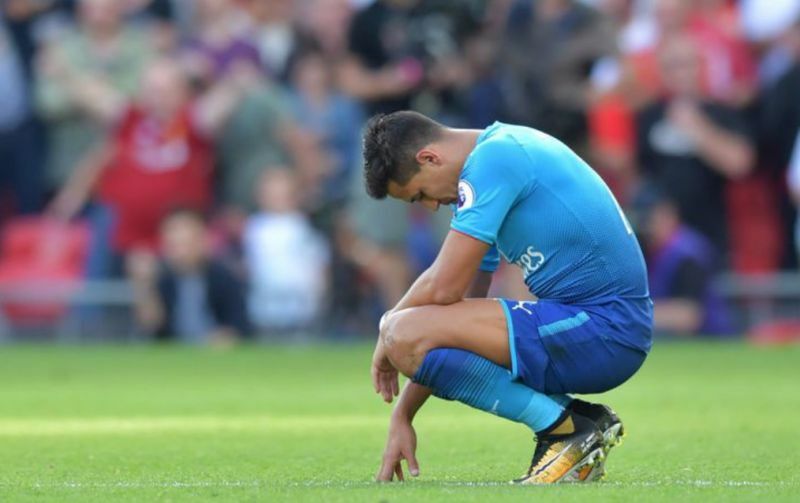 The Chilean was seen slumped away from his teammates in a similar fashion to the attitude Sanchez often displayed during misery with Arsenal. The Sanchez slump has become an embodiment of prevailing under-acheivement and disappointment. United fans will be hoping that Sanchez’s post-match strops that became synonymous with Arsenal’s disastrous campaigns does not become a regular scene within Manchester.